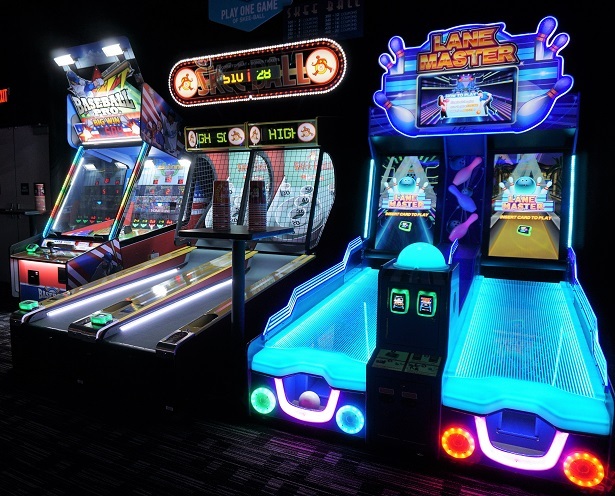 At long last, Dave & Buster’s has come to the San Fernando Valley! For years, Valley people have been trekking over the hill to the closest one at Hollywood & Highland. Finally, we have one of our own! 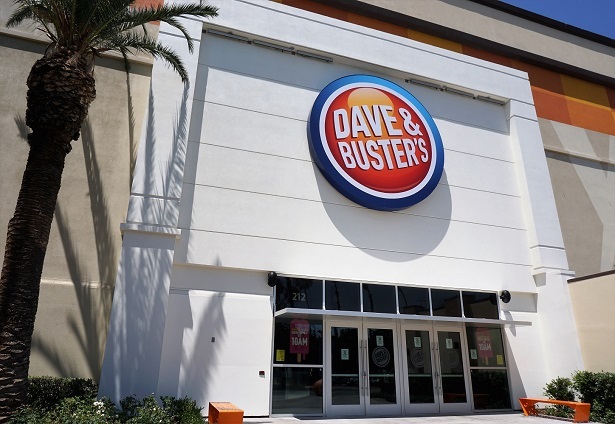 Dave & Buster’s is located in the Northridge Fashion Center, in a space that previously held a Borders bookstore & a sporting goods store. 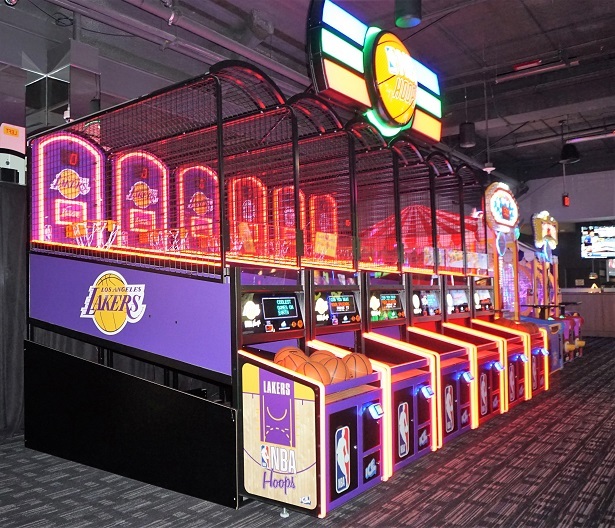 Last week I attended a media preview of the brand-new Dave & Buster’s in Northridge. 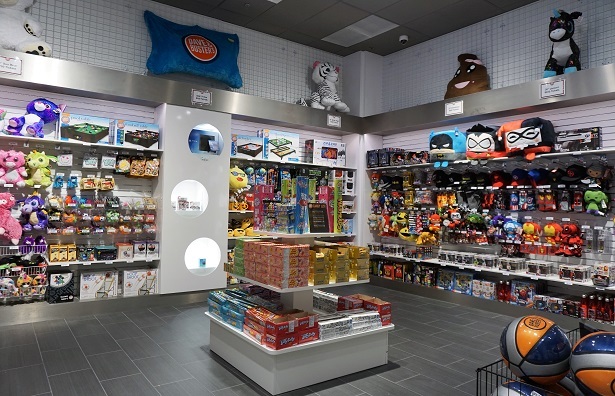 I spoke to a D&B marketing manager to find out additional details about their newest establishment, which is their 10th Dave & Buster’s location in Southern California (117th in the nation). Another unique touch is the region-specific artwork. 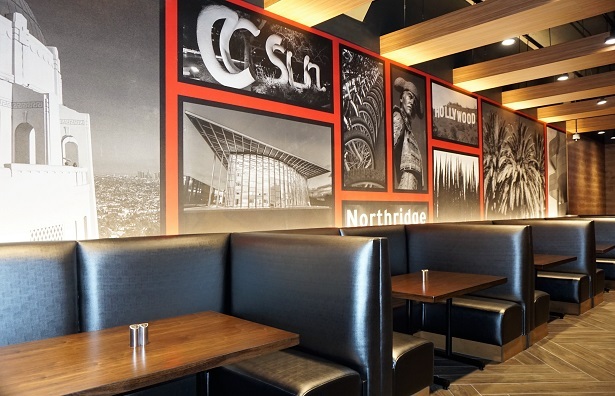 As a graduate of Cal State Northridge, I appreciated this mural giving a shout-out to CSUN! 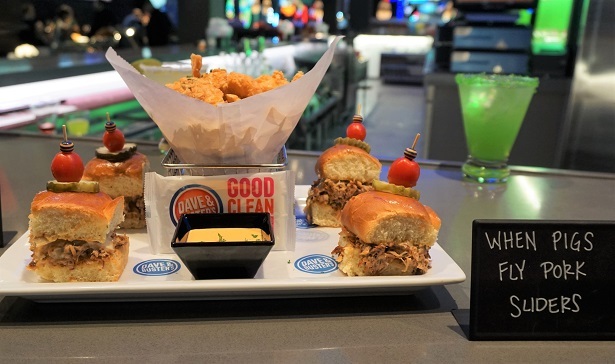 There’s a ton of reasons why you should visit the newest location of Dave & Buster’s, which opens to the public on Monday, July 30. 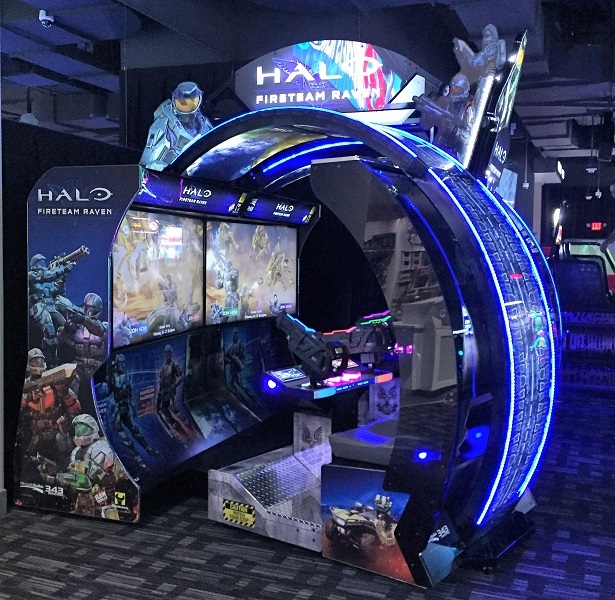 Dave & Buster’s has more than 160 of the latest arcade games, including the new Halo: Fireteam Raven. My brother-in-law, a gamer who accompanied me to the media preview, played a few rounds of this game & thoroughly enjoyed it. 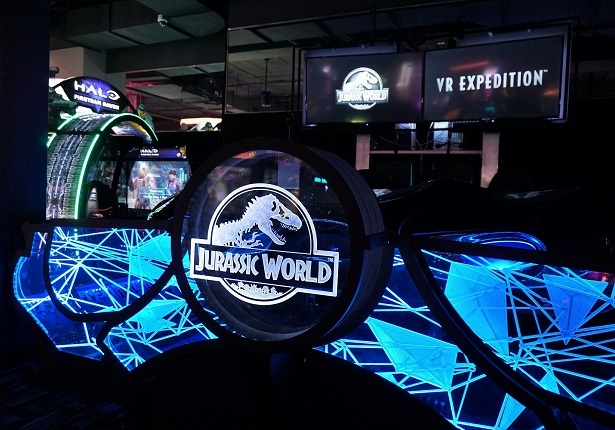 Exclusive to Dave & Buster’s is the all-new Jurassic World VR Expedition. The VR ride combines motion chairs with VR headsets, transporting players to the visually stunning jungles of Isla Nublar. You’ll be on a quest to rescue dinosaurs! I’m not really a gamer, so I was concerned about kids who want to play traditional arcade games. Rest assured, there are a ton of options, especially if you want to win tickets to buy prizes! Now I know you’re thinking that the prizes at Dave & Buster’s might be cheesy. Nope! Lots of fun merchandise to be had. There’s even high-end prizes like Nintendo Switch, Xbox One, iPads & Beats by Dre. 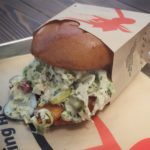 If you read my blog, then you know I’m a foodie. Usually at establishments like this, the food is mediocre at best. 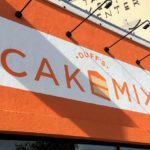 We had a taste testing of their menu & I’m happy to say that the food is delish! 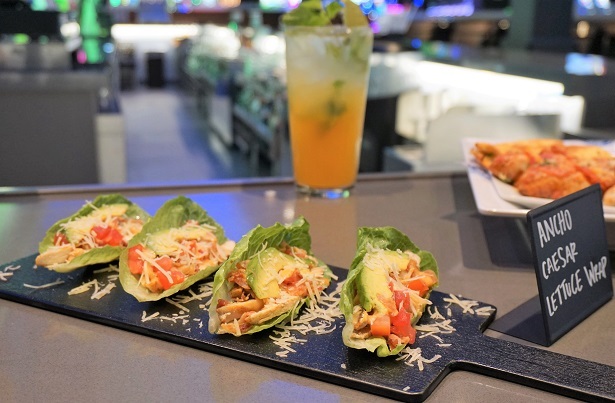 My favorite was the Ancho Caesar Lettuce Wraps. 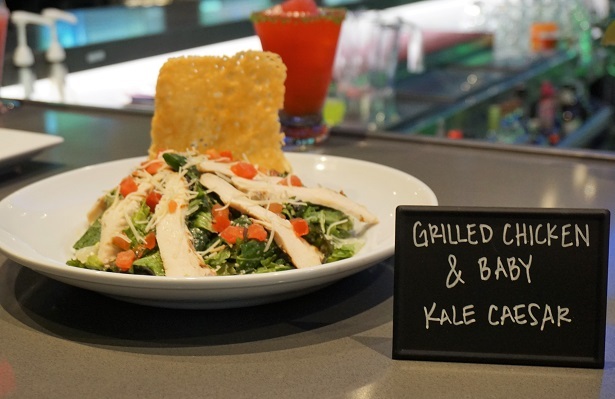 There’s traditional “sports bar” type food, as well as kid-friendly food. 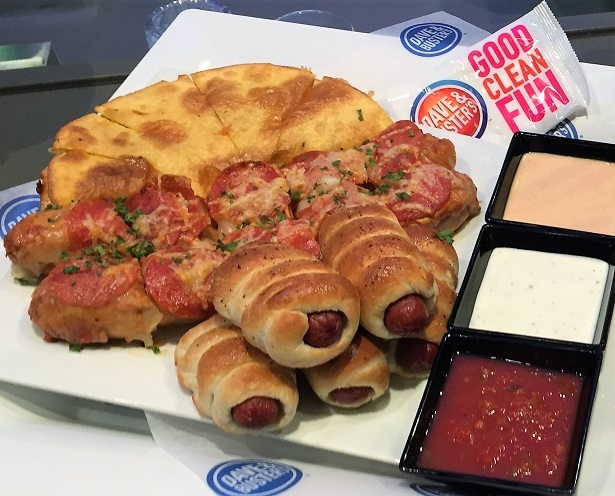 Pretzel hot dog or pull apart pizza anyone? 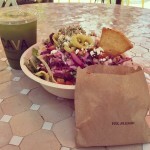 For those that are seeking healthier fare, there are salads & of course my favorite lettuce wraps. 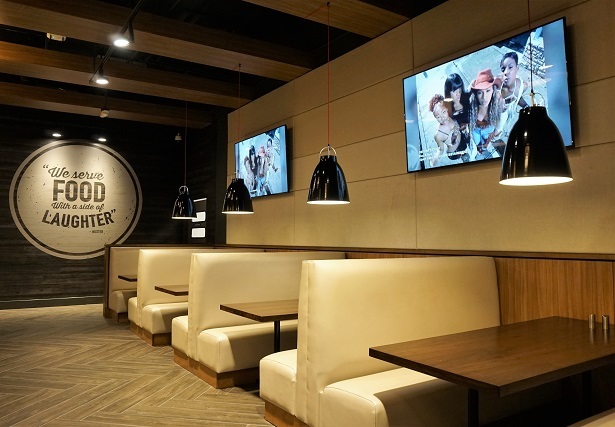 There are dozens of HDTVs & plenty of seating for ultimate sports viewing. I have a feeling that once it hits college football time, this area will have tons of USC and/or UCLA fans gathered around to cheer on their teams. I’m already eyeing this place as a location for my kid’s upcoming birthday party. 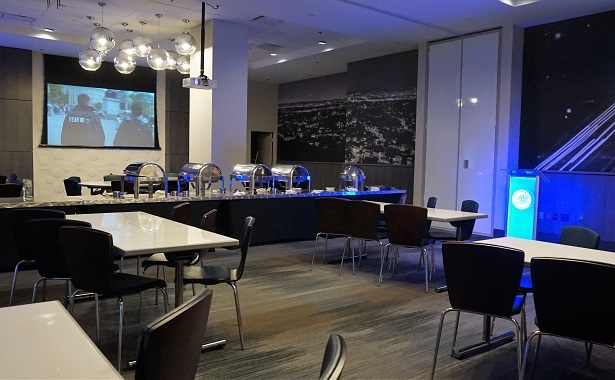 But did you know that Dave & Buster’s also serves as a great meeting location? 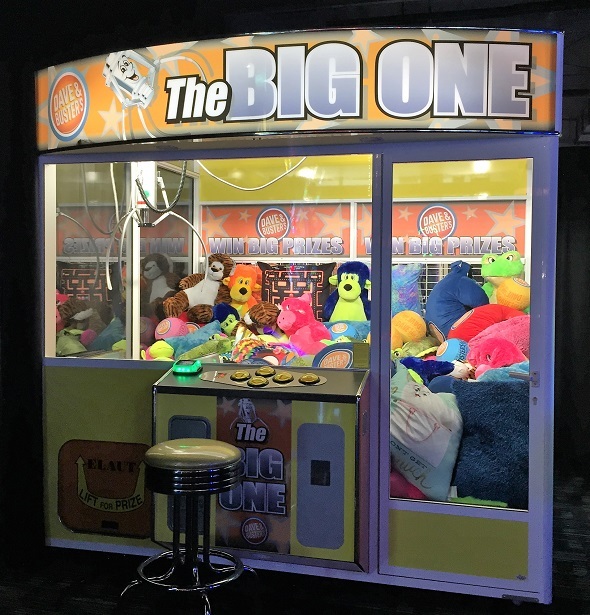 According to the D&B marketing manager, often times companies will host functions or team building meetings at a Dave & Buster’s. 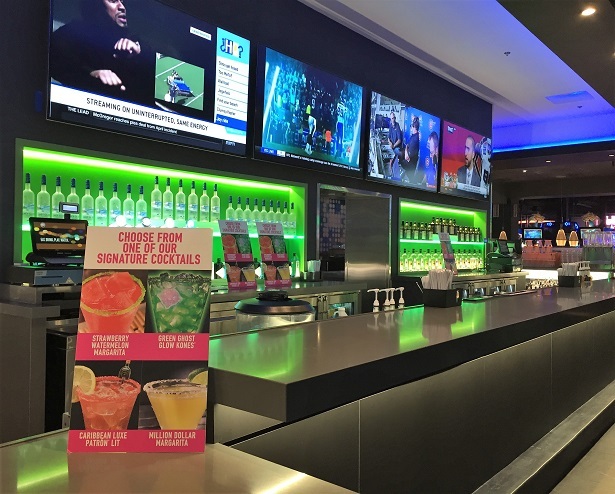 There are several sections that can be designated for your next sports-viewing party, kids b-day party or pre-gaming for a bachelor party. Take advantage of Half-Price Games Wednesday, where all games are half-price ALL day! Then there’s Happy Hour (Monday-Friday, 3:45-7pm) & Late Night Happy Hour (Sunday-Thursday from 10pm-closing) where cocktails, drafts, domestic pints & wine are discounted. Let’s be honest, the San Fernando Valley is HOT during the summer. 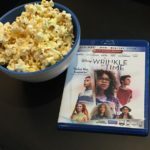 Sure you can spend a couple of hours at the mall or watching a movie (both located conveniently near Dave & Buster’s Northridge). However, where else can you spend hours & hours of fun, that has something for every member of the family, that is also indoors, in a climate controlled location? 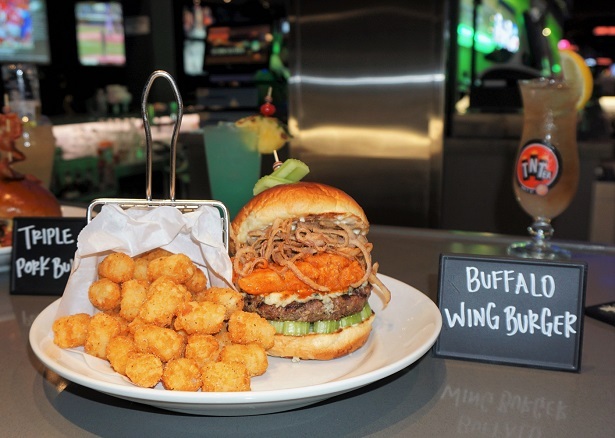 There’s a reason why Dave & Buster’s opens at 10am every day. 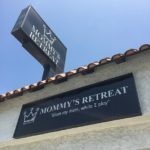 If this place had been around when my kiddo was young, my once a week routine would have been this: get in right when it opens, meet another mom friend there, let the kids run around for a couple of hours playing games, grab lunch & then it’s time for home! Seriously though, even if you’re not a gamer, it’s a great gathering place for dinner or meeting up with friends after work. There truly is something for everyone. For more info, go to the Dave & Buster’s website here. Disclosure: No monetary compensation was received for this post. I attended an event as a member of the media. All images & opinions are 100% my own. 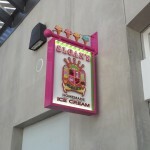 Sloan’s Ice Cream at The Village in Woodland Hills! I can’t wait to go! They open tomorrow I believe. 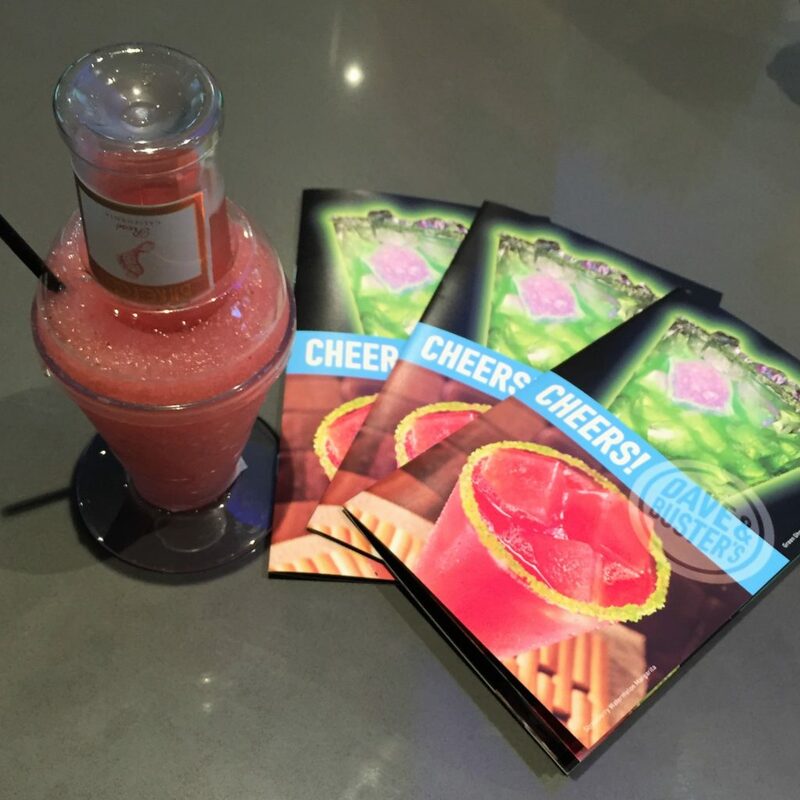 Hi Lisa – yes, Dave & Buster’s Northridge is now open. Hope you have a great time! I’ve never been! I would love to go! It’s very fun – you should try it!